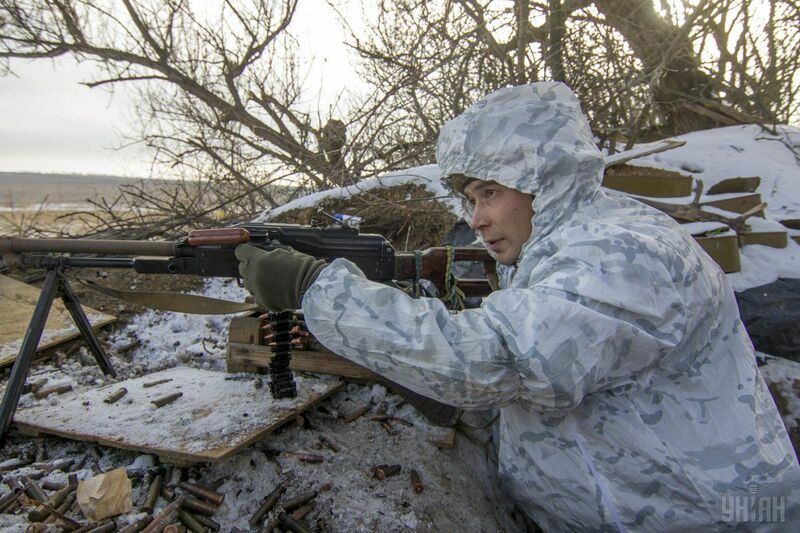 In the past 24 hours, the Russian-occupation forces in Donbas have increased the number of attacks, opening fire 72 times, according to the press center of the Anti-Terrorist Operation. Six Ukrainian soldiers were wounded as a result of the attacks, the ATO Headquarters reports. In the Mariupol direction, the invaders fired 122mm artillery on Vodiane and also mortars of various calibers – on Maryinka, Pavlopil, Shyrokine and Talakivka. From grenade launchers, heavy machine guns and small arms, they fired on Pavlopil, Krasnohorivka, Maryinka, Hnutove, Starohnativka, Vodiane, Talakivka, and Shyrokine. Read alsoRussian military feign illness not to go to Donbas - Defense MinistryIn the Luhansk direction, mortars of various calibres were fired at Troitske and Novo-oleksandrivka. Grenade launchers and small arms were fired on Lobacheve, Novo-oleksandrivka, Krymske, Stanytsia Luhanska, and Novozvanivka. In the Donetsk direction, 82mm mortars and weapons installed on IFVs were fired by the invaders at Troitske. Grenade launchers and small arms were fired on Pisky, Avdiyivka, Maiorsk, Novoluhanske and Luhanske.